Products - STARKA. Jakość tradycji. 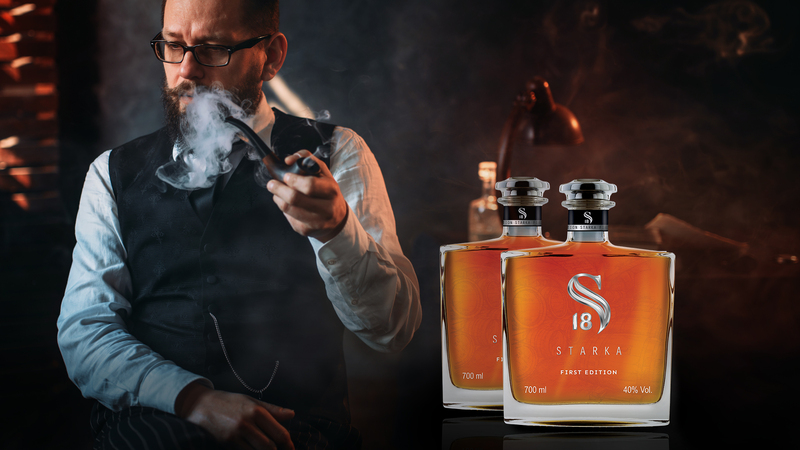 STARKA® 9 WAS CREATED WITH THE INTENTION OF OBTAINING A DELICATE BUT MYSTERIOUS TASTE, THANKS TO ITS RYE DISTILLATE MATURED IN OAK BARRELS FOR AT LEAST 9 YEARS. IT HAS BEEN DESIGNED AS A CONTINUATION OF SZCZECIN’S TRADITION OF PRODUCING EXCELLENT STRONG POLISH SPIRITS. A GREAT DRINK WHOSE PURE FRESHNESS FITS PERFECTLY WITH ITS ELEGANT NOTES OF CORIANDER AND CARDAMOM. 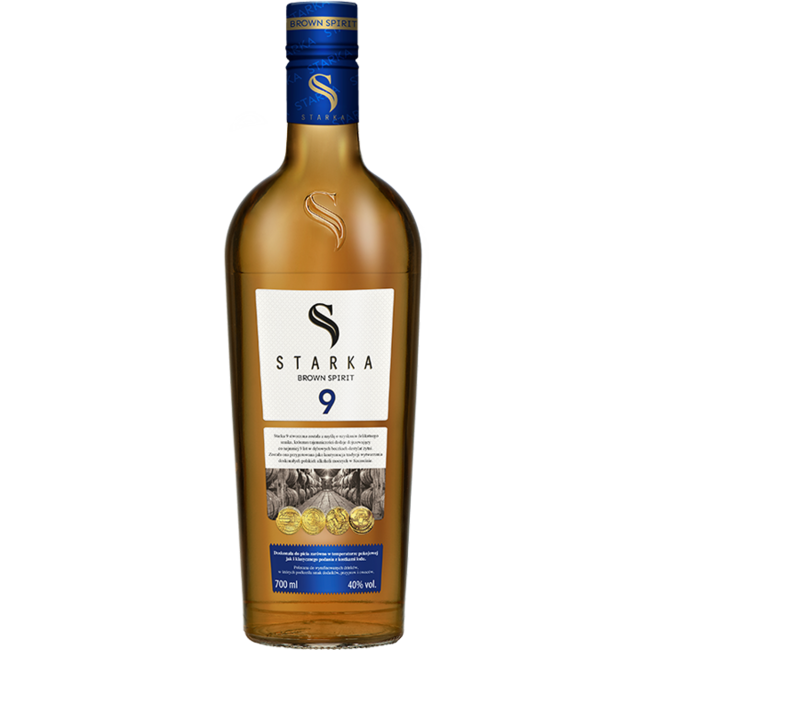 STARKA® 9’S UNUSUAL BOUQUET OF FLAVOURS AND AROMAS WILL DELIGHT EVEN THE MOST DEMANDING CONNOISSEUR OF QUALITY ALCOHOL. STARKA® 6 WAS CREATED WITH THE INTENTION OF OBTAINING A DELICATE BUT MYSTERIOUS TASTE, THANKS TO ITS RYE DISTILLATE MATURED IN OAK BARRELS FOR AT LEAST 6 YEARS. 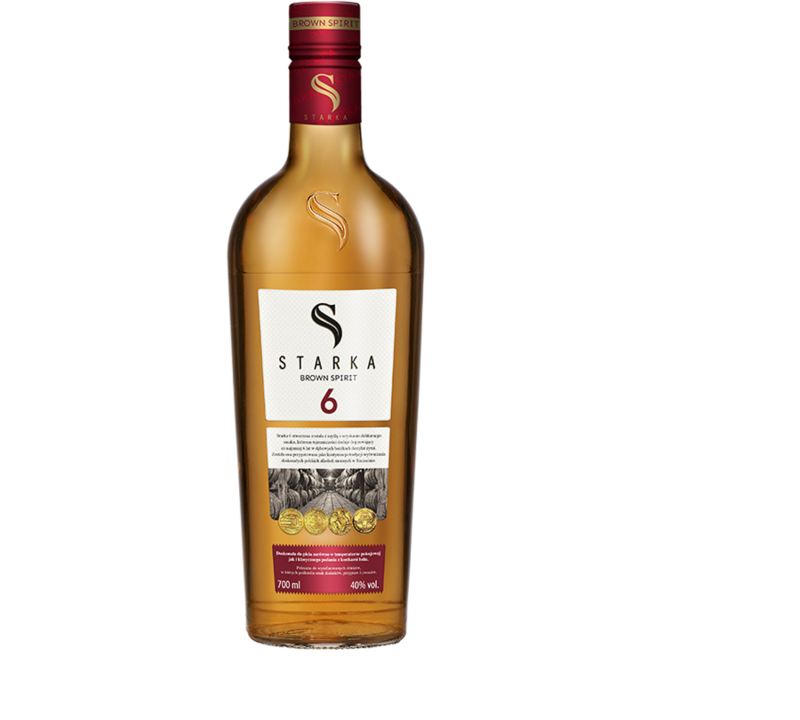 STARKA® 6’S UNIQUE TASTE AND RICH AROMA, GAINED FROM ITS MATURATION IN OAK BARRELS, ARE THE HALLMARKS OF ITS QUALITY AND MAKE IT PERFECT FOR LONG EVENINGS. 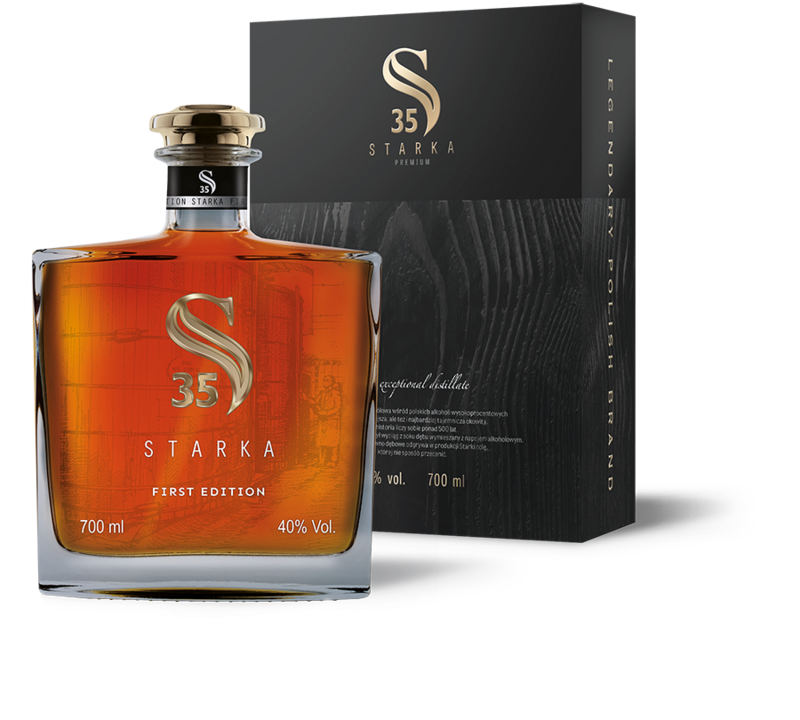 STARKA® 3 WAS CREATED WITH THE INTENTION OF OBTAINING A DELICATE BUT MYSTERIOUS TASTE, THANKS TO ITS RYE DISTILLATE MATURED IN OAK BARRELS FOR AT LEAST 3 YEARS. 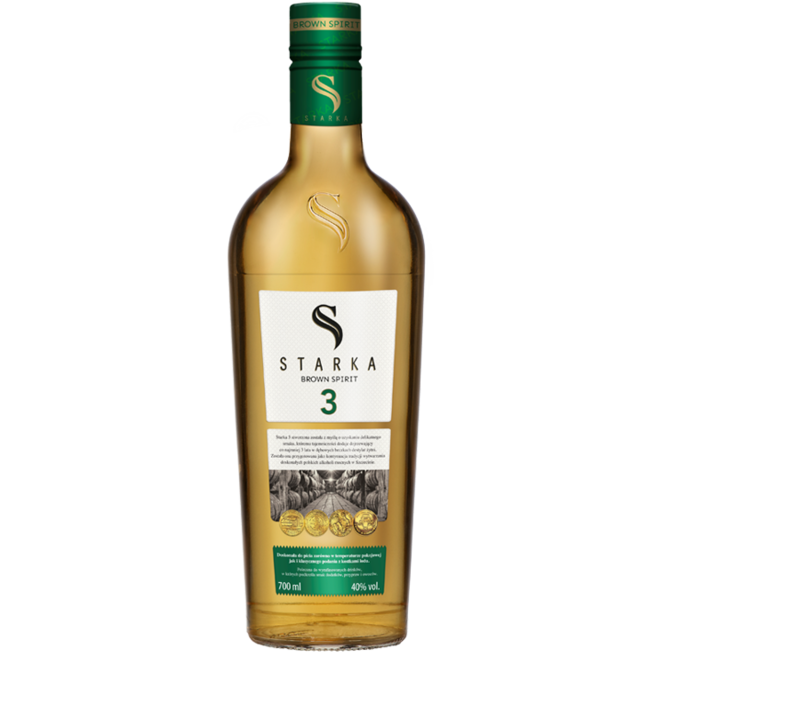 STARKA® 3 IS THE IDEAL CHOICE FOR THOSE BEGINNING THEIR ADVENTURE WITH THE UNUSUAL FLAVOURS OF STARKA’S ALCOHOLIC PRODUCTS. 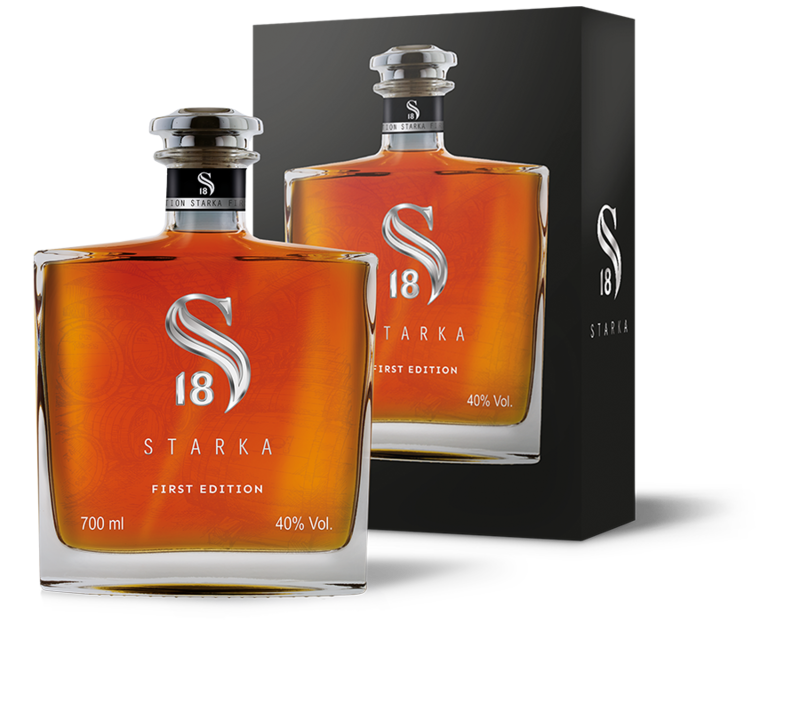 STARKA® 18 IS THE MOST POPULAR SPIRIT IN OUR OFFER. IT IS DESIGNED FOR BRAVE PEOPLE, WHO APPRECIATE ITS UNIQUE TASTE AND RICH AROMA. 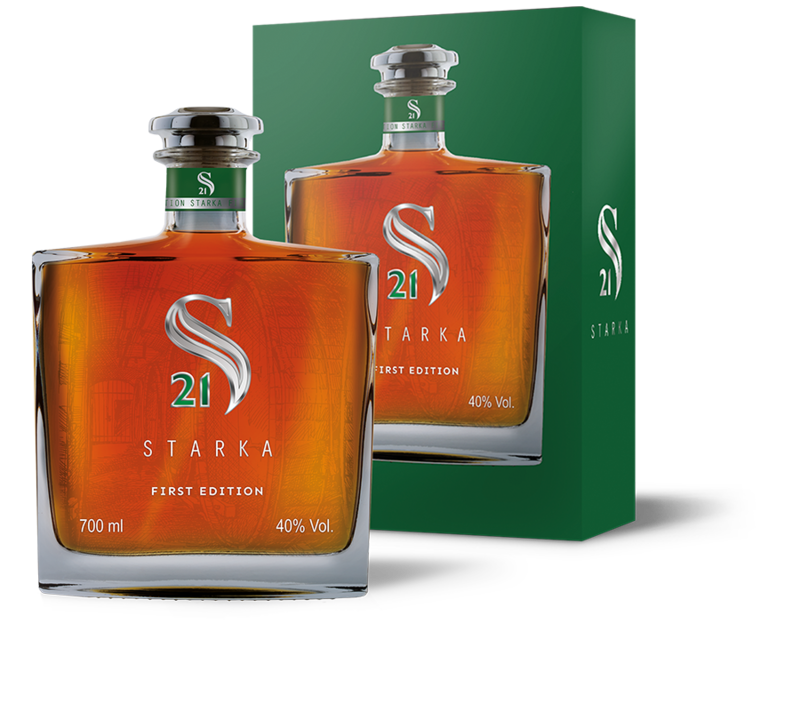 STARKA® 21 IS A BRILLIANT CHOICE FOR THOSE SEEKING ALCOHOL, WHOSE CREATION PROCESS IS PERFORMED WITH EXCEPTIONAL CARE AND ATTENTION TO THE SMALLEST DETAILS. THE LIQUOR, WHICH IS ESPECIALLY STORED FOR 21 YEARS, TAKES ON FEATURES THAT ARE CHARACTERISTIC OF STARKA® ONLY. OAK BARRELS PASS THEIR SMELL TO THE DRINK AND INFLUENCE ITS LATER TASTE. THE LONGER THE BETTER. HASTE MAKES WASTE, WHEN IT COMES TO STARKA®. CHOICE FOR PEOPLE WHO EXPECT MORE FROM ALCOHOL. SOMETHING THAT WILL MAKE YOU FEEL REALLY LIKE A KING. STARKA®, WHICH IS KEPT FOR 25 YEARS IN OLD OAK BARRELS, OFFERS THIS POSSIBILITY. ITS UNIQUE TASTE MAKES IT CLEAR FROM THE BEGINNING THAT IT IS A ROYAL DRINK FOR PEOPLE WHO VALUE CLASS AND QUALITY. STARKA® IS NOT CHOSEN BY CHANCE IT’S A DRINK FOR THE BEST. THE SPIRITS FOR THOSE WHO APPRECIATE TRADITIONAL FLAVORS. THE PRODUCTION OF THIS VARIETY OF STARKA IS LONG LASTING, BUT THE EFFECT IS REMARKABLE. IT IS UNSPEAKABLE, HOW MUCH GOOD STARKA® TAKES OVER FROM OAK WOOD, WHEN AGING. YOU HAVE TO TRY IT. BEST WITH YOUR FRIENDS. 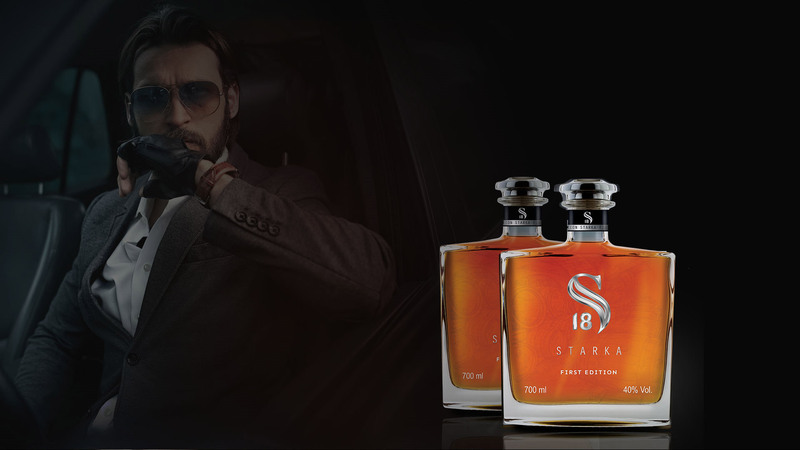 IN FACT, STARKA® IS THE ROYAL ALCOHOL FOR THE PRIVILEGED PEOPLE. NOT WITHOUT REASON IT WAS ONCE THE LIQUOR OF THE GREATEST AND MOST IMPORTANT MAGNATES. SOMETHING FOR CONNOISSEURS WHO KNOW WHAT THEY WANT AND HAVE THE COURAGE TO REACH FOR IT. THE 35-YEAR AGING PROCESS BRINGS OUT THE BEST FROM STARKA®. AFTER TRYING THIS PRODUCT, YOU KNOW RIGHT AWAY WHY STARKA® IS PERCEIVED AS A ROYAL DRINK. STRONG OAK AROMA AND UNIQUE COLOR MAKE THIS SPIRIT BE TASTY TO ALL LOVERS OF STRONG DRINKS REGARDLESS OF THEIR EARLIER TASTES. STARKA® 35 IS A GOOD PROPOSAL FOR PEOPLE WITH HIGH EXPECTATIONS.